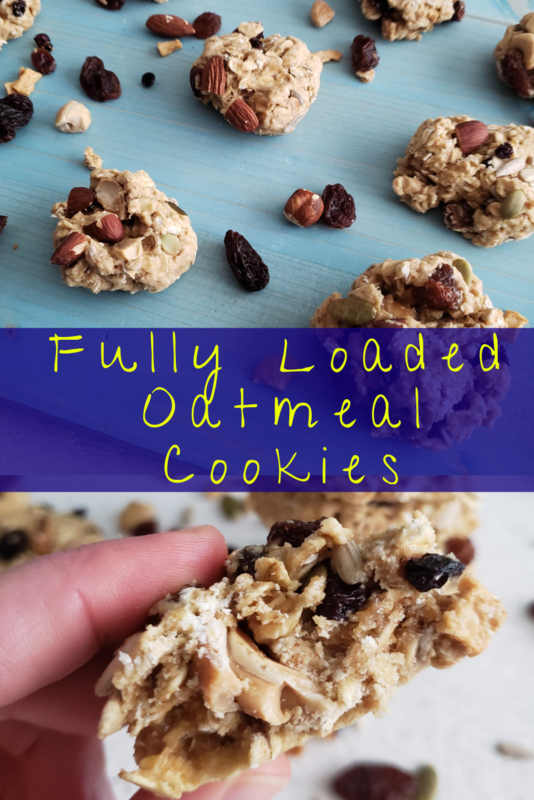 Fully loaded oatmeal cookies are a fun, filling, and nourishing cookie experience. 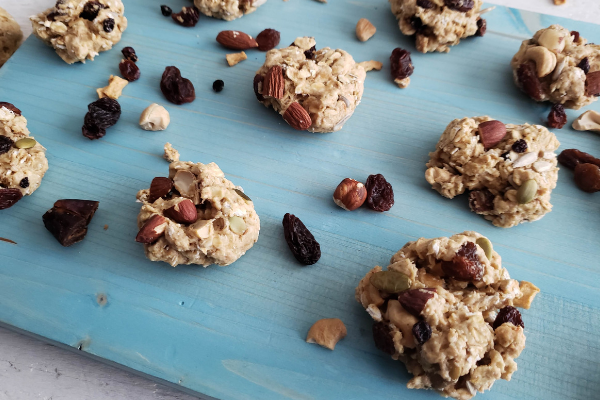 With a mixture of nuts, seeds, and dry fruit, and no added sugar or salt, the Voyageur Ultra mix from NaturSource is a fantastic way to upgrade a basic oatmeal cookie. 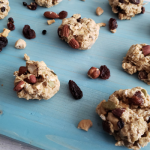 It creates fabulous texture (with chewy and crunchy elements), taste (from raisins, almonds, cashews, dates, currants, sunflower seeds, pumpkin seeds, dried apples, brazil nuts & filberts), and filling-ness (seriously. I wanted to eat so many of these, but got too full). 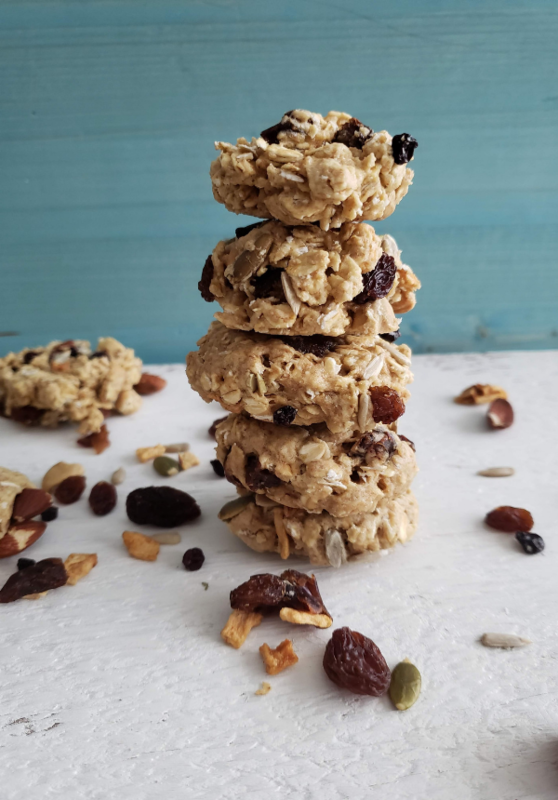 With fibre, protein, fats, and carbs in them, you can enjoy these cookies for breakfast, a snack, or (even) dessert. I made them as part of a Purim gift! 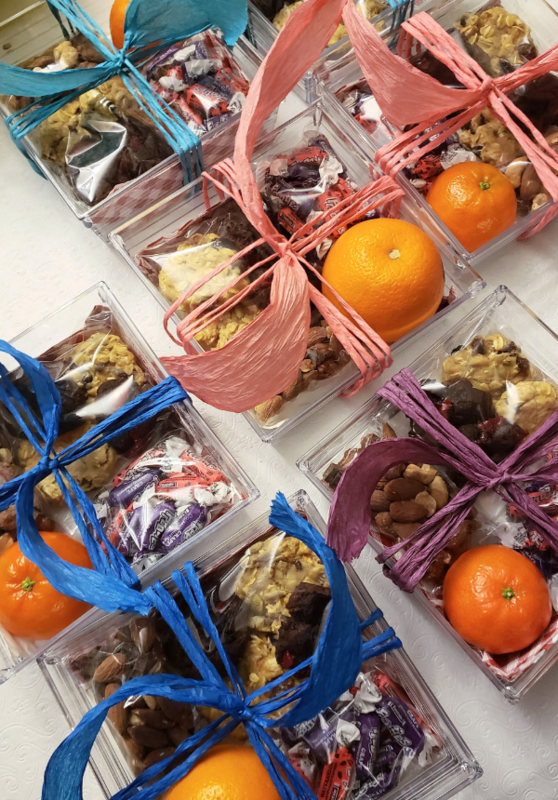 Cookies are an easy way to involve kids in the kitchen- there’s little way to mess them up 🙂 Let them add in the ingredients, stir up the batter and/or shape the cookies. Especially with this nut, seed, and fruit mixture, kids can get a lot of exposure to new textures and flavours. So set up an extra tasting bowl, and let them eat and explore. Just don’t be too surprised if not much makes it into the recipe! A fun, tasty, and filling cookie. 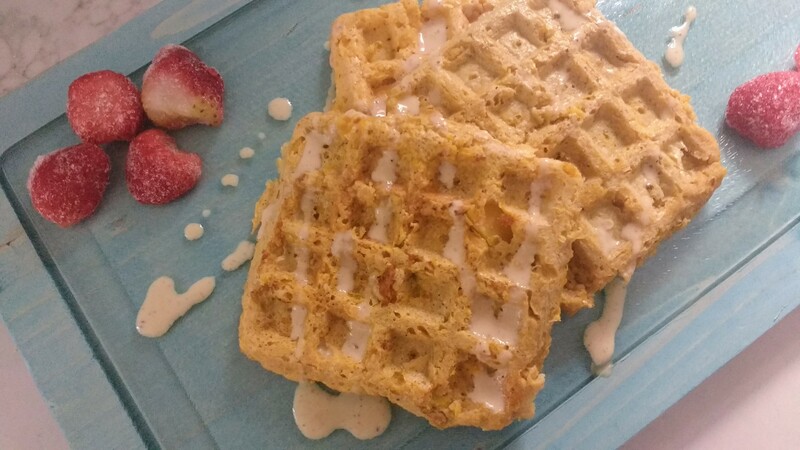 Perfect for breakfast or snack! In a separate bowl, beat together egg,oil, soy milk and sugar. Add in flour mixture and combine. Stir in oats. May need to use wet hands if mixture is too dry. Using your hands, form small-medium balls. Place on baking tray. If using NaturSource Voyageur Ultra mixture, cut fruit and nuts into smaller pieces. Disclaimer: I received free product from NaturSource. All opinions and views are my own.